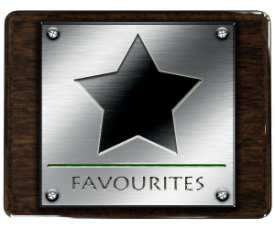 Who are the Favourites for 2018 Melbourne Cup from Around the World? As the Melbourne Cup is the richest 2m handicap on the planet and one of the most valuable races in horse racing full stop, it tends to attract entries from all around the world. 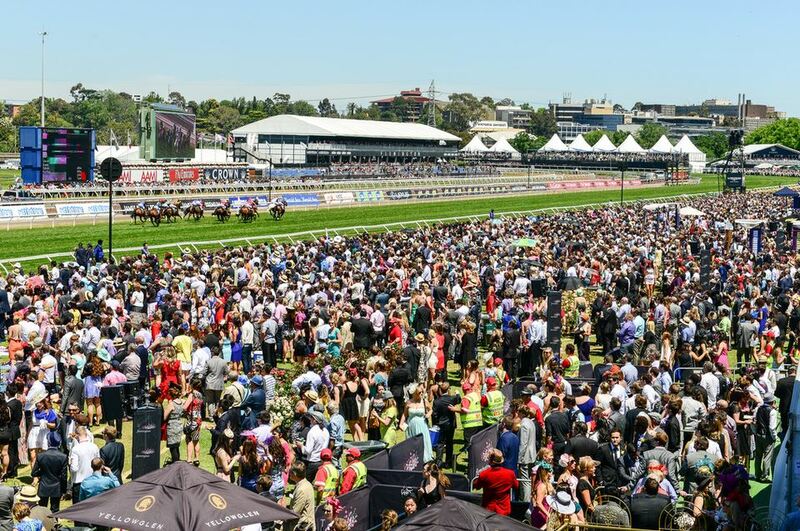 Just how global this year’s renewal, which takes place at Flemington racecourse on the outskirts of the great city in the state of Victoria, Australia on Tuesday, 6 November, remains to be seen. It is common to have entries from as far and wide as the UK and Ireland, mainland Europe (particularly France and Germany), the United States and even the Far East, with plenty of horse racing interest also in Hong Kong and Japan. 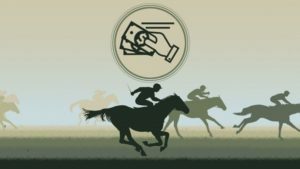 Bearing that in mind, we’ve taken a look at the ante-post betting for the 2018 Melbourne Cup and provide details of the various favourites from their respective countries. Heading the market is potential British raider Withhold for trainer Roger Charlton and Brighton & Hove Albion FC owner Tony Bloom. This five-year-old gelding has won two of his three starts since joining his current handler from Charlie Hills and they are some of the richest handicaps in the British Isles. Withhold was soon prominent in last season’s Cesarewitch at Newmarket’s Future Champions Festival and hit the front with a mile of the 2m 2f race still to go. He stayed on strongly after being ridden out by champion jockey Silvestre De Sousa, however, to draw clear in the final furlong and score by three 1/4 lengths from the ill-fated London Prize. Connections were really bullish about his chances of following up on that impressive victory when sending him straight to the extended 2m Northumberland Plate on the all-weather at Newcastle this season without a prep run. Given a soft lead by the field, Withhold made all and was allowed to completely dictate proceedings on the front end. He’s unlikely to get that kind of rope in the Melbourne Cup and win unchallenged again. It’s possible Withhold could sneak into the race off bottom weight and – if he gets in – the Australian assessors have clearly taken a huge chance with the clear ante-post betting favourite via Oddschecker, with Withhold trading at 16/1. The leading Japanese contender, according to bookmakers at least, is the Yoshito Yahagi trained four-year-old colt Chestnut Coat. He’s had just a sole start over the Melbourne Cup trip and was a 1 3/4 lengths fifth to Rainbow Line in the Grade 1 Tenno Sho at Kyoto back in April. Chestnut Coat is the son of Heart’s Cry, who was famously sent all the way to Britain for a crack at the King George VI And Queen Elizabeth Stakes in 2006 when a length third to Hurricane Run. His father also handed Deep Impact – a subsequently prolific and expensive international thoroughbred sire – a first-ever defeat in the Japanese Grand Prix at Nakayama back in 2005. The narrow nature of Chestnut Coat’s defeat over 2m suggests he gets the trip and, although then a below par 5 1/4 lengths 11th in a Grade 2 at Tokyo when dropped back down in distance and class, that marks him out as one to watch Down Under. He also has a Caulfield Cup entry, but Australian bookmakers are taking no chances with him for the Melbourne Cup at 18/1. After landing the spoils for trainer Joseph O’Brien last year, Rekindling has course and distance winning form in his favour. The only trouble is we haven’t seen the four-year-old on a racecourse since his Melbourne Cup triumph last November. Horses can be kept fit without racing, but it is highly unlikely Rekindling will receive the low weight of 8st 2lb that he carried to victory if bidding to defend his crown Down Under in this year’s renewal. His back form looks strong, however, with two-length fourth in the St Leger at Doncaster behind Capri looking especially good. Runner-up Crystal Ocean came out and won his first three starts this season, including at Royal Ascot, and was a gallant neck runner-up to Sir Michael Stoute stablemate Poet’s Word in the King George last time out. Stradivarius, who was third in the Leger, has emerged as a top-class stayer landing the Yorkshire Cup, Gold Cup and Goodwood Cup for a second time. With those elite thoroughbred advertising the form in leading British middle-distance and staying events this summer, Rekindling cannot be discounted from the Melbourne Cup picture if returning to the scene of his greatest triumph. His ante-post price this year is 25/1. Formerly with Mickey Hammond, Kings Will Dream is unbeaten since being sent Down Under and joining current handler Darren Weir. He knows what it takes to train a Melbourne Cup winner having done so with Prince Of Penzance back in 2015. Kings Will Dream made it five from five in Australia last time out when he landed the Mornington Cup – a Listed race over about a mile-and-a-half – by five lengths. That victory has earned him a nomination for the Cox Plate at Moonee Valley (a race dominated by wonder mare Winx in recent years), but that prestigious contest is only a mile-and-a-quarter. Whether Kings Will Dream has the staying credentials to get the Melbourne Cup trip remains to be seen. His sire Casamento was seen to best effect over a mile, while his dam wasn’t race but sired by another 8-10 furlong horse in the 2000 Guineas winner of 1992, Rodrigo Di Triano. That breeding notwithstanding, Kings Will Dream makes for an intriguing contender nonetheless and can be backed for the Melbourne Cup at ante-post odds of 25/1, There is just a feeling taking aim at Winx and denying her bid for a four-timer in the Cox Plate would suit this gelding better though. And finally, leading French stayer Vazirabad has won on trips to Meydan in the Middle East before, so going Down Under in search of this huge prize cannot be ruled out. Owned by the Aga Khan and trained by Alain De Royer-Dupre, the six-year-old has an impressive career strike rate of 15 wins in 23 races. Having plundered the Dubai World Cup three times and won Group 1s at home, connections sent Vazirabad for a belated crack at the Ascot Gold Cup. He only found John Gosden’s staying star Stradivarius too good over two-and-a-half miles and would find dropping back in trip no problem. Seen to best effect with a bit of cut in the turf, Vazirabad is a top class animal and that would probably mean the Australian handicapper would allot him a heavyweight to carry in the Melbourne Cup. He is a 40/1 ante-post chance to line up at Flemington come November and win this valuable race. 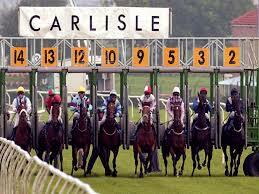 The Smarkets Betting Exchange Handicap (6.15) at Carlisle on Monday looks competitive enough, as do all the races on the card, but Eastern Racer makes a swift reappearance after winning a similar race in convincing style at Thirsk on Friday and can complete a hat-trick. The testing sprint course at Carlisle is a different kettle of fish from that at Thirsk, which is fairly sharp, but Brian Ellison’s six-year-old is 1lb lower in the weights here and, from a handicapping perspective, has an obvious chance. He’s been tried over 7 furlongs a few times, without success, but he should cope with this stiffer test of stamina over 6 furlongs and, if he does, he may be able to show his rivals a clean pair of heels once again. He’s shouldered with top weight, but carried that 10st 4lb, less Kieran Schofield’s 2lb allowance, to victory at Thirsk, so shouldn’t be unduly inconvenienced by his welter burden. Furthermore, apprentice Izzy Clifton – who has only had two rides in public, but finished second on 40/1 chance Fortinbrass in a 6-furlong handicap at Redcar last Wednesday – has a 5lb allowance to compensate for her inexperience. Any draw bias over 6 furlongs at Carlisle is only minimal in any case, but stall eight of 11 is a good as any. 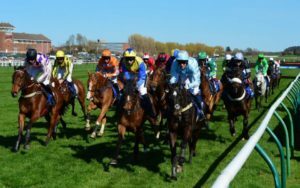 All in all, there’s plenty to like about Eastern Racer and, with the yard in decent form – including an across-the-card treble of Friday – he looks a decent bet to provide his young rider with a landmark first victory.